Our brains are complex structures and can be challenging to learn and to teach. This app brings the brain to life through a colourful 3D structure that can be rotated 360° in space. 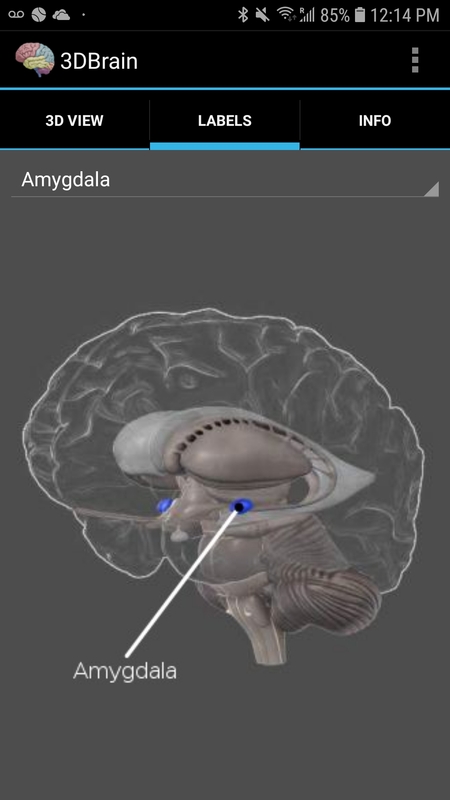 The app is created by Vivid Apps and AXS Biomedical Animation Studio with the DNA Learning Center. It is free, has a very simple interface, and can be downloaded on Apple or Android devices. 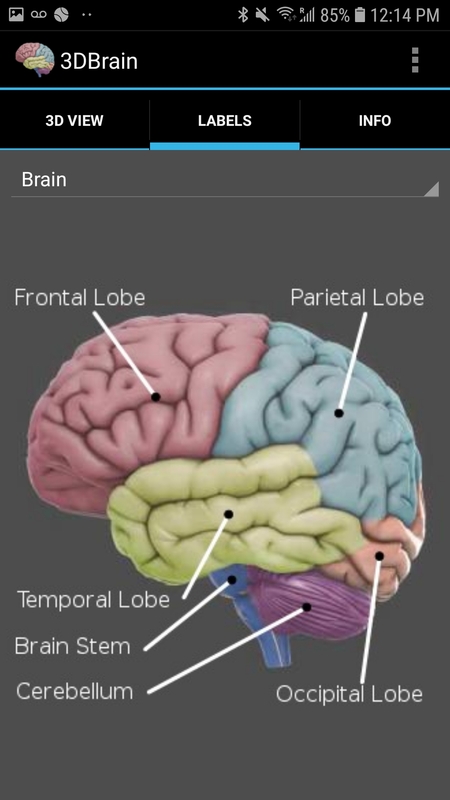 There is also an option to upgrade by in-app purchase to the 3D Brain HQ for $0.99. 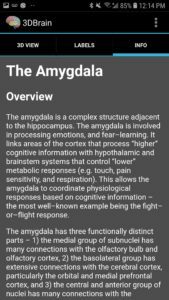 This version has higher resolution brain images and proceeds are donated towards the educational programs of the DNA Learning Center. 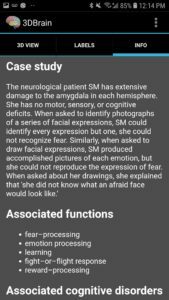 This app has incredible potential for learning and teaching! It has 29 interactive structures that can be isolated, so that you can rotate the brain in 3D to see that individual structure and learn about its particular function. 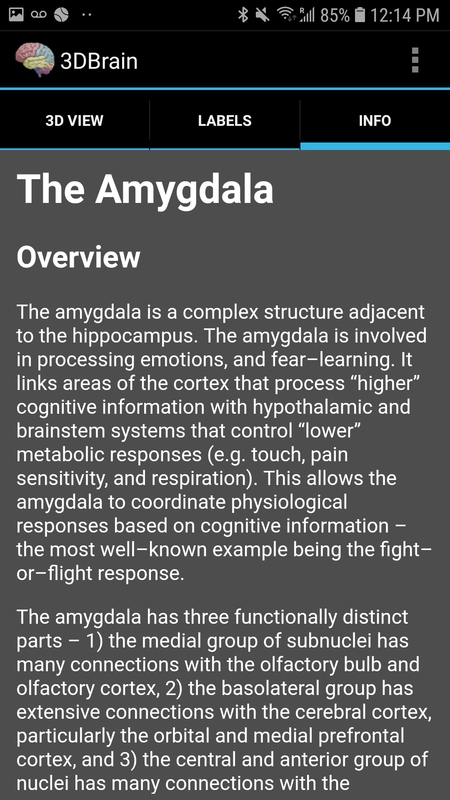 When a structure is selected, there is information provided about that part of the brain. 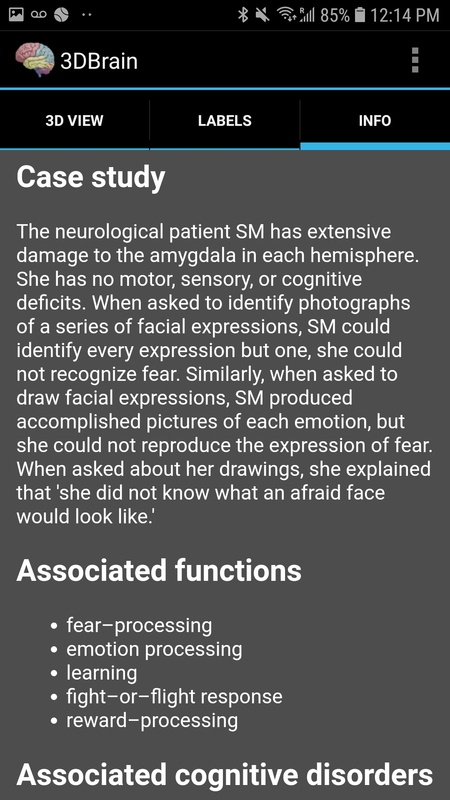 The app offers information about a case study, describes associated functions, and explains related cognitive disorders to this part of the brain. 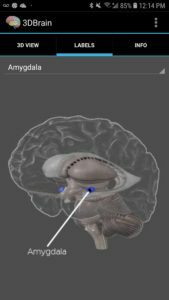 In addition, the user can read what happens when this structure in the brain is injured and how it is involved in mental illness. Lastly, the app also provides a citation list and links for further research. 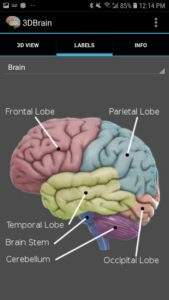 This app is an interesting and interactive way for students to learn and for educators to teach by allowing learners to experience the brain in a way that an image cannot afford. It has cross-disciplinary potential for science, health, psychology, and can even be used in art and technology classes to showcase a 3D educational image. This app would be a perfect way to include interactive and inquiry-based learning into the classroom. Reviews of the app have been largely positive with a few people noting (and I would agree) that the app could be even more interactive. But perhaps we are just being demanding… I mean the 3D brain is quite amazing! This entry was posted in 3D modelling, Android, app, Apple, free, health, science. Bookmark the permalink.